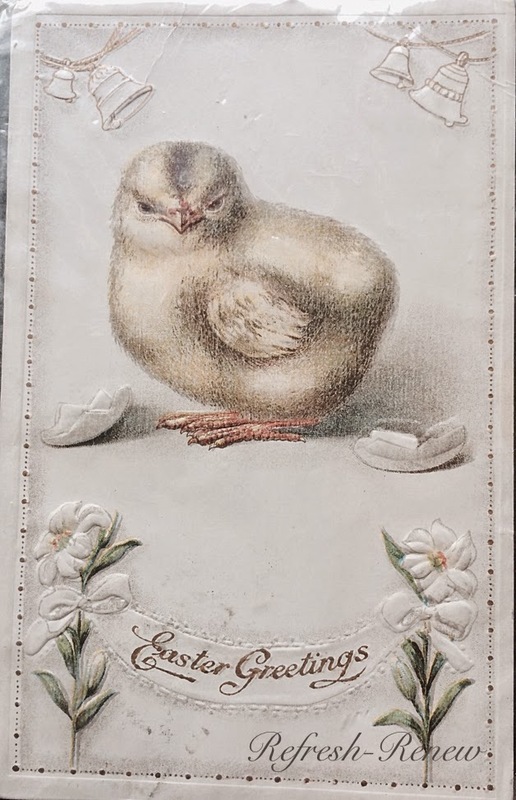 Refresh - Renew: Easter Greetings 2015! 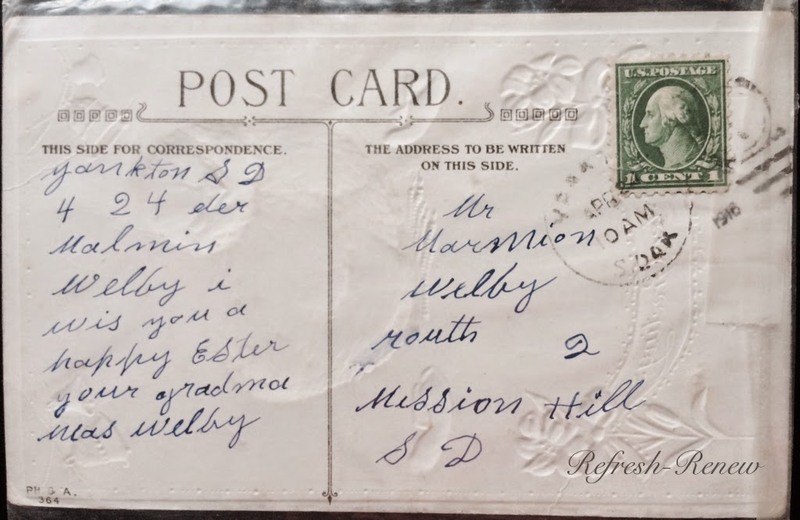 Enjoy this beautiful postcard dated 1916! We will be spending time with nana this Easter! Looking forward to a time of refreshing and renewing with family. Nothing like the promise of Easter to remind us to be renewed. it can all die on the cross with Christ. He asks us to do this. Nail all the weight of the world there. And be willing to start over. I look forward to posting about these items soon!